Performance times vary in our Upstairs and Downstairs Theatres. Click here to see what’s on at Belvoir. We ask that before entering either our Upstairs or Downstairs theatres you turn your mobile phone off completely. On silent it can still buzz or vibrate which is audible to other patrons and cast members. It can be quite distracting, so please make a special note to turn your phone right off before enjoying your Belvoir performance. Just think of it as a couple of hours where the only thing demanded of you is your full attention to what’s happening on stage. Bliss! 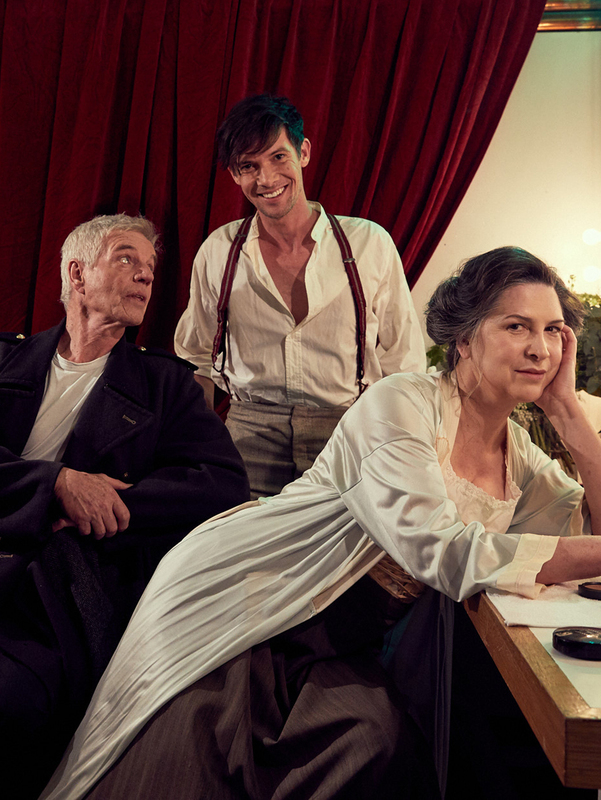 Colin Friels, Toby Schmitz & Pamela Rabe. Photo by Daniel Boud.